We've all had those times where we go a little over budget. Maybe it's spending a little more than you planned on vacation or perhaps you finally splurged on that new laptop to replace your old one. It's normal to have a few slip-ups when it comes to your budget. As long as you correct your behavior, you shouldn't see long term effects on your finances. For some, these "slip ups" are a part of their everyday life resulting in constant overspending. However, it may not be that easy to recognize the signs when you’re inside of it. This can be especially true if this way of living has been the example since your childhood. Check out some of the signs below to see if you fall into the overspend category. A good rule of thumb is to never utilize more than 30% of your available credit. If you find yourself maxing out or coming close to maxing out your credit card each month, you are most likely relying on your credit too much. Track your spending for a month to see where your money is going and then create a budget to keep your spending in check. Ideally, you should be paying off your credit card balance in full every month. While only making the minimum payment each month won't hurt your credit score, it will cost you more over time in interest. 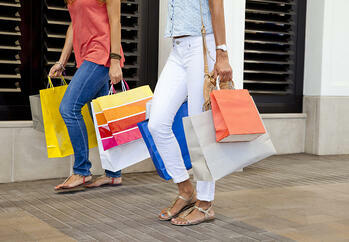 For many people, they use shopping as way to relieve stress. While this is okay occasionally, if you constantly find yourself at the mall or your home is always filled with things that still have the price tag, it may be time to take a step back. We’ve all been in situations where it may be necessary to borrow money from family or friends. However, if this has become a persistent habit, it’s probably time to take a look at where your money is really going. Is getting that money so important it’s worth jeopardizing a relationship over if you can't pay it back? It's not uncommon for people to feel a rush of excitement when they are out shopping. However, if you often feel regret or guilt after making purchases, this may be a sign of a deeper underlying problem when it comes to your spending. There are many resources for people who feel trapped by their spending habits, including professional help when it comes to debt management and mental health. Admitting you need help is the first step towards a stronger financial future.